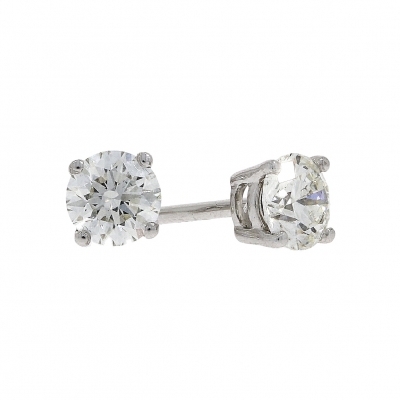 Diamond Earrings, Diamond Earrings For Women, White Gold Diamond Earrings, Stud Earrings, Studs. Ever since the company was established in 1876, the Banks Lyon name has been shorthand for quality you wouldn’t get from any other jeweller. Their diverse collection of diamond earrings is testimony to that. 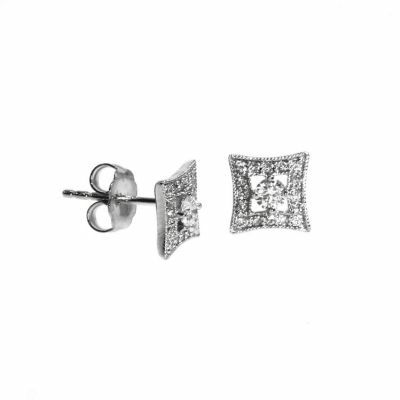 Banks Lyon earrings use only the finest cut diamonds, mounted in stunning white gold. Whether the cut is round brilliant or princess, you can guarantee its perfection. Several of the pieces are complemented by other stones: peerless emeralds, rubies and sapphires. Take special note of the rainbow cascade earrings, with their imaginative use of coloured sapphires. Earrings are the ideal piece of jewellery to display diamonds. 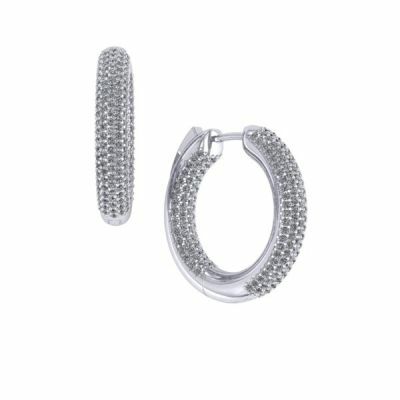 Clusters, hoops, drops, studs- we supply a style for every taste, every occasion and time of day. This is more than mere fashion jewellery; these are pieces for the serious connoisseur, and a worthy addition to every jewellery lover’s collection. If you’re looking for meticulously crafted pieces using the best materials, buy Banks Lyon. Please do not hesitate to contact us on 01524 384858, or via email at personalshopper@bankslyon.co.uk, to find out more about our terrific range of diamond earrings - a member of our friendly team will be more than happy to assist you.